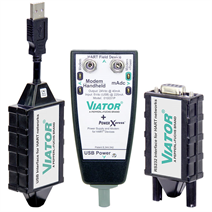 The VIATOR® HART® modem is a PC communication link to HART® networks for commissioning, servicing, calibrating, or acquiring data from any HART® instrument or transmitter. The modem operates on low power, is isolated, and fully HART®-compliant. 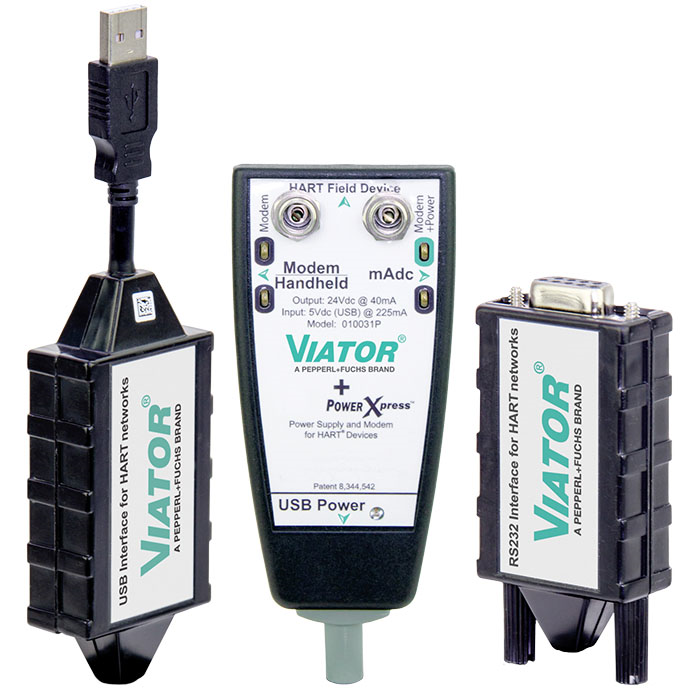 The VIATOR® modem software provides the link between the HART® instrument and the personal computer. The software driver can easily be downloaded from our website www.wika.com/download. The modem is enclosed in a small, rugged ABS plastic case, suitable for the industrial environment. The modem connects to your computer depending on the version with a Bluetooth® connection, a short integral cable terminating in a USB A connector or a RS-232 connector, and connects to a field instrument with an integral cable terminating in two test clips.